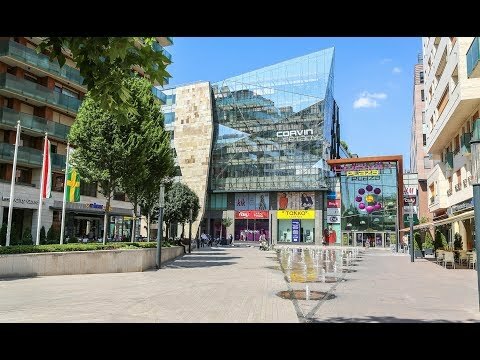 Central Europe’s largest, 22-hectare city centre regeneration project in the heart of Budapest, and Budapest’s largest ongoing development with a total area of 500 000 m2 built on so far. The project has been financed from private sources, as well as from European Union community funds (for new infrastructure, new public spaces, social housing programs, etc. ), built with the close cooperation of the Józsefváros Municipality and Budapest City Council. The area contains the capital city’s largest city centre office and retail development, with a unique combination of open and covered shopping, entertainment, leisure, sport and eating facilities. The Corvin Quarter contains 2 700 new homes, with Hungary’s leading residential property developer (Cordia) having provided some 1 500 apartments by the end of 2016. Corvin Promenade is the Corvin Quarter’s landscaped, 800 m-long pedestrianised street, a new symbol of Budapest and a 10 000 m2 meeting point designed by the English landscape architect Robert Townshend. The Corvin Promenade is an internationally recognised and award-winning location, the winner of the International Property Award Best Mixed Use Development Europe and the property development Award for Excellence from the Hungarian members of the FIABCI. In 2014, it was also the first development from Hungary to win first prize in a competition considered to be the Oscars for urban and property development, the Urban Land Institute Global Awards for Excellence.